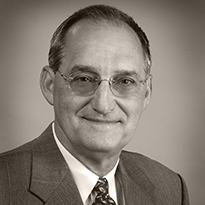 Ray Hale joined Rich & Cartmill, Inc. in 1983 after owning and operating an independent insurance agency in Tulsa. Ray’s insurance career began with the Travelers Insurance Company in 1968. He later joined the national insurance brokerage firm of Marsh & McLennan, Inc. A native of Pine Bluff, Arkansas, Ray attended on athletic scholarship, the University of Alabama and Delta State University, from which he obtained a Bachelor of Science degree in Business Administration. He obtained the Certified Insurance Counselor designation in 1985, is an active member of First Baptist Church in Broken Arrow, serves as a mentor in the local school system, and is a senior active member of the Broken Arrow Rotary Club. Ray and his wife Susan are long time residents of Broken Arrow and in addition to attending his grandchildren’s activities, he enjoys outdoor activities including hunting and fishing.